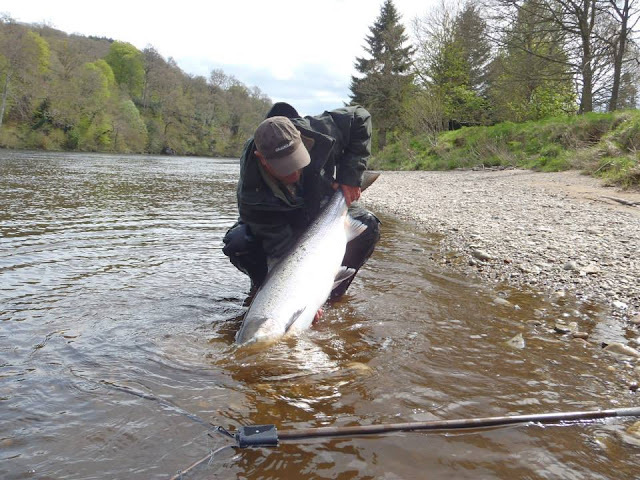 The Big Wobble: Another tipping point breached: Salmon have disappeared in Scotland: Not a single salmon caught during the entire season. But now Global warming is being blamed for Scotland's worst salmon season in living memory. Experts believe rising temperatures blamed on global warming have badly hit the salmon's feeding grounds with related changes in current patterns also affecting their migration. Roger Brook, director of the Argyll Fisheries Trust, said: "Salmon are in decline everywhere but they're declining more on the west coast of Scotland and they're declining more the further down the west coast you go. "It's dreadful now in Argyll. It's a crisis in Argyll. I don't know whether it's too late now to put it right." This year's cold spring and the summer heatwave created the "perfect storm" for poor fishing conditions. But experts believe the steep decline in numbers since the 1960s is deep-rooted and warn the future is bleak. Survival rates for salmon at sea have fallen as low as 3 per cent with global warming and ocean fishing fleets among the likely causes. Professor Ken Whelan, a leading salmon specialist investigating the downturn, said: "Absolutely there's a crisis in salmon fishing. What we have now is a situation where you're looking at very modest numbers of fish coming back and you really can't afford to lose any from any kind of man-made effects." In January 2017, the collapse of Alaska's salmon fishing caught the headlines. The federal government issued a disaster declaration for Alaska's pink salmon fishery and several other salmon and crab fisheries along the West Coast. Gov. Bill Walker requested the declaration after the 2016 pink salmon harvests in Kodiak, Prince William Sound, Chignik and lower Cook Inlet came in far below forecast, the Alaska Journal of Commerce reported.